Vagabonds offers a lot of handy functions. For example, it supports a number of diverse blog layouts and has extra fast page load. 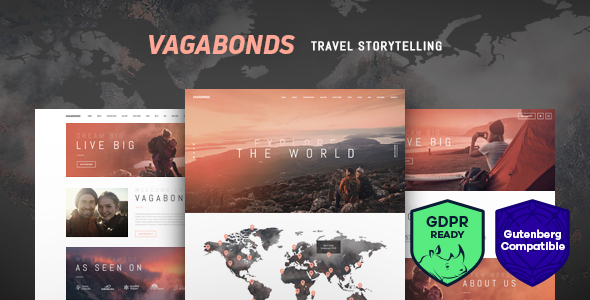 Vagabonds has plenty premade homepages, modules, shortcodes that can be used in your future project. -Themerex Addons activation error is fixed. 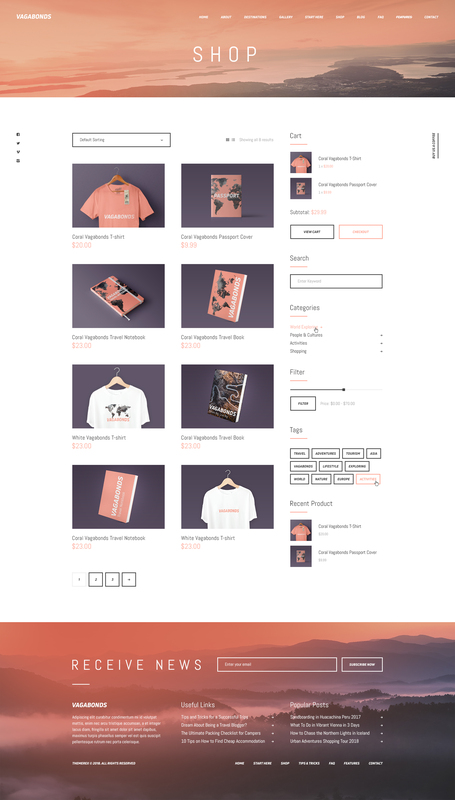 - Purchase code verification is fixed.